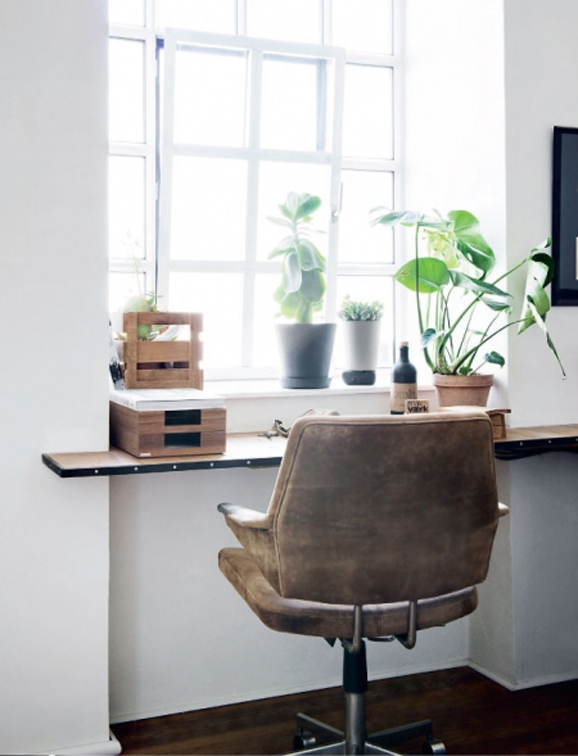 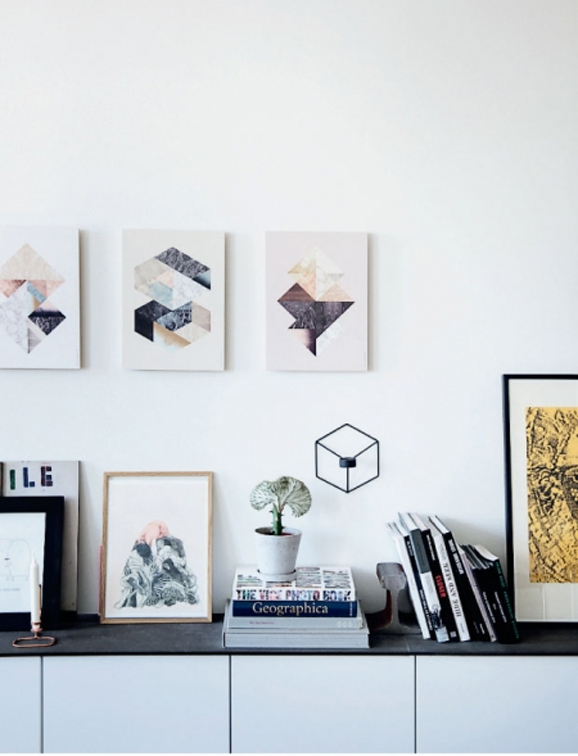 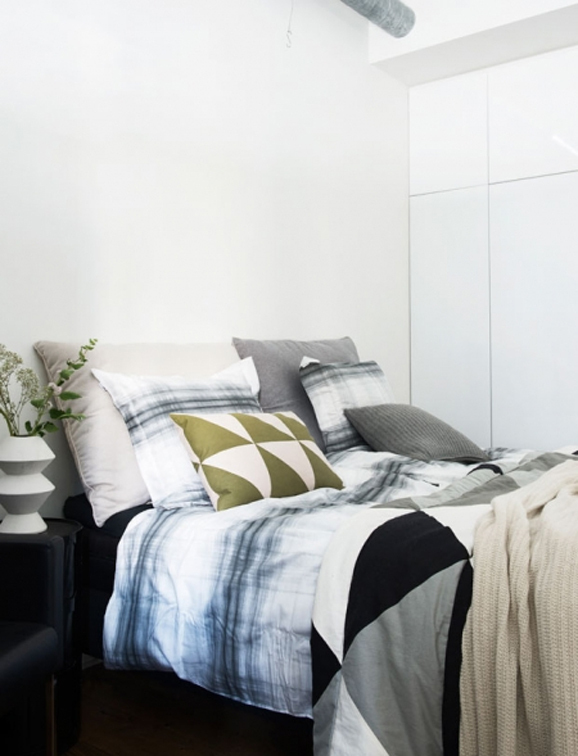 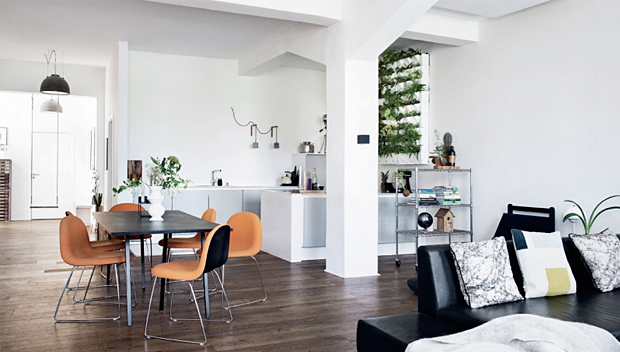 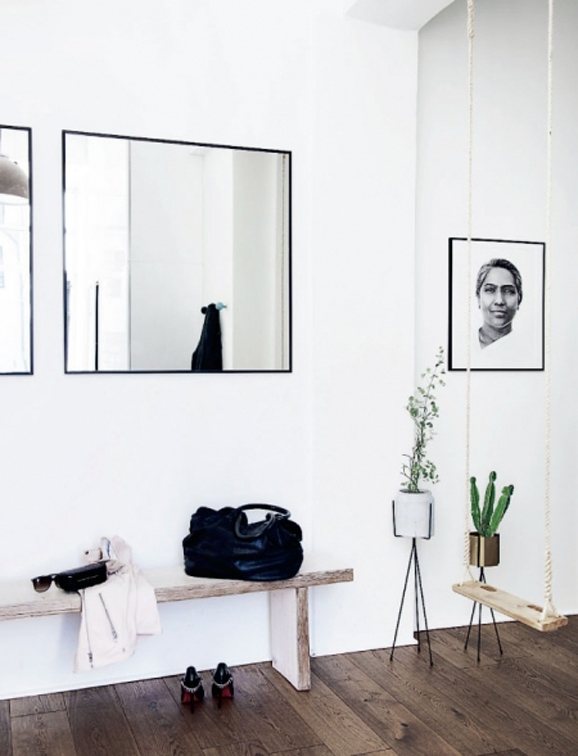 This 150 m² apartment is owned by Michala and Morten Kjær Holm and styled in a nice fusion of Scandinavian and New York style. 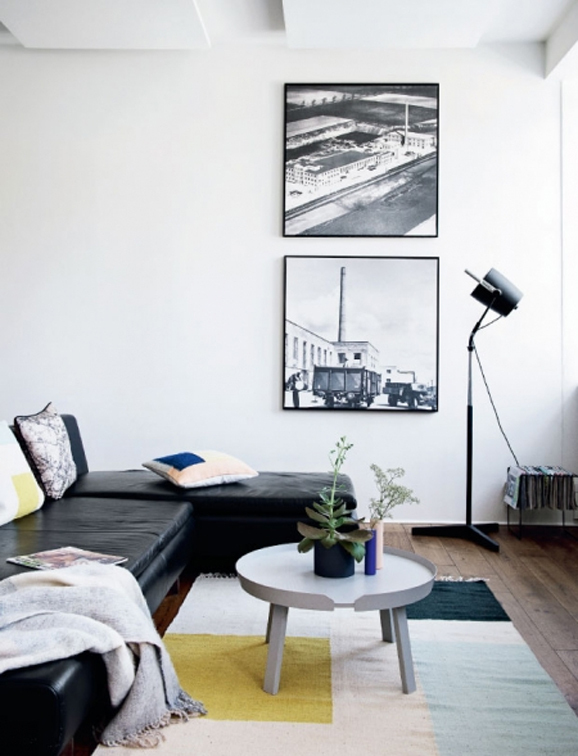 The place is bright and spacious with a large industrial like windows creating an impression of a loft. 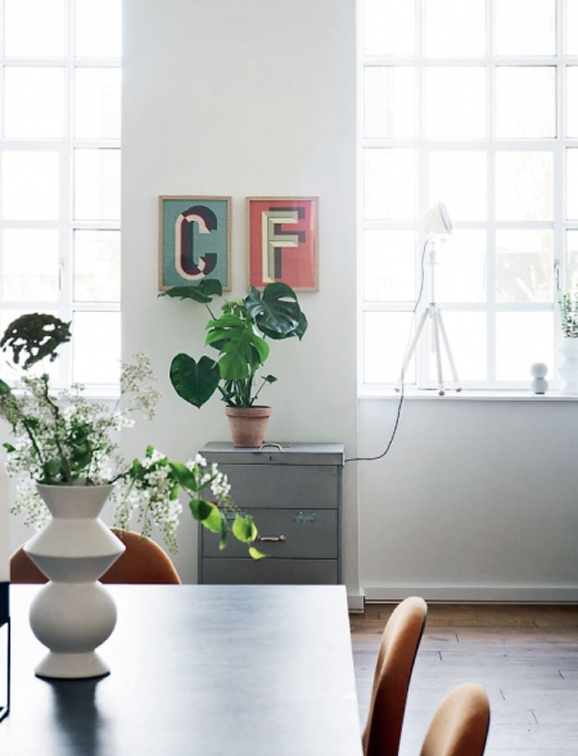 Furnishing and decor is simple but effective with a nice pastel colored accents and numerous house plants adding a nice natural touch to the interior. 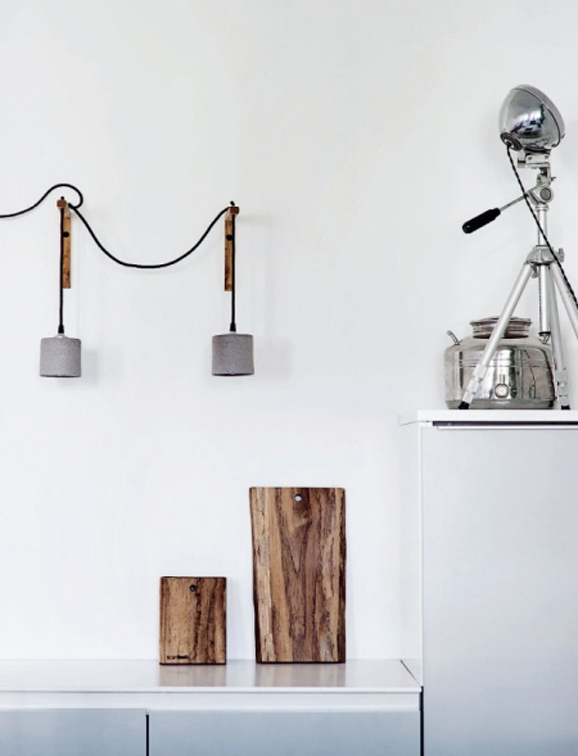 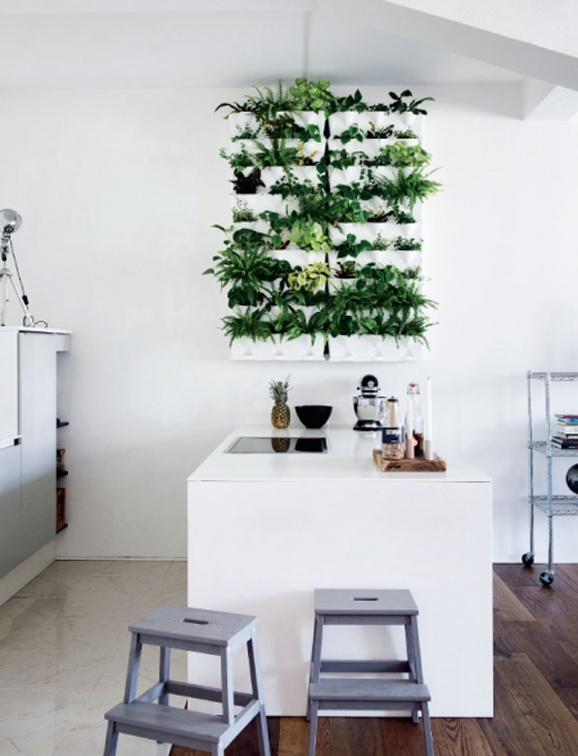 If anyone knows from where are those cool tripod planter stands - please let me know!